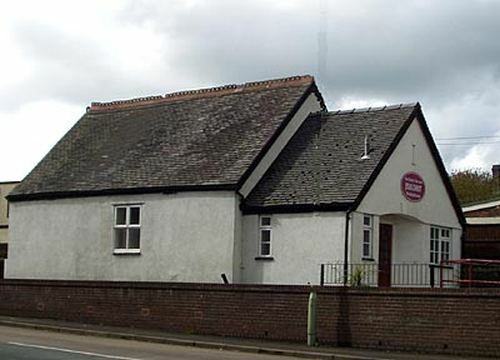 The Wesleyans in Woore had been holding services in Woore before they built their chapel. Tenders were invited from builders in February 1876; the chosen builder was Mr Ellams of Silverdale. The foundation stones were laid on Monday 10th April 1876. In a bottle under one of the stones were a copy of the Staffordshire Sentinel, a circuit plan and a statement about the Wesleyan cause in Woore. The chapel was built on land given by Mr John Smith and cost about £902 10s. to construct. The chapel was of gothic design and built of brick with stone dressings and had buttresses down each long side and an entrance porch on the side facing the main road. It seated about 200 worshippers. The chapel opened on Sunday 17th September 1876. This chapel seems to have been demolished as the current Methodist Church (in the photograph) on the same site looks to be a completely different building. There is a photograph of the gothic chapel in Shropshire Archives.